We created a new brand language for this popular Naples-based brand for their expansion into the Unites States. Amina Rubinacci emerged in Italy in the early 1970s and gained prominence throughout Europe and Asia with her unique combination of form, color and material. This store is the first of three locations we designed for AR. 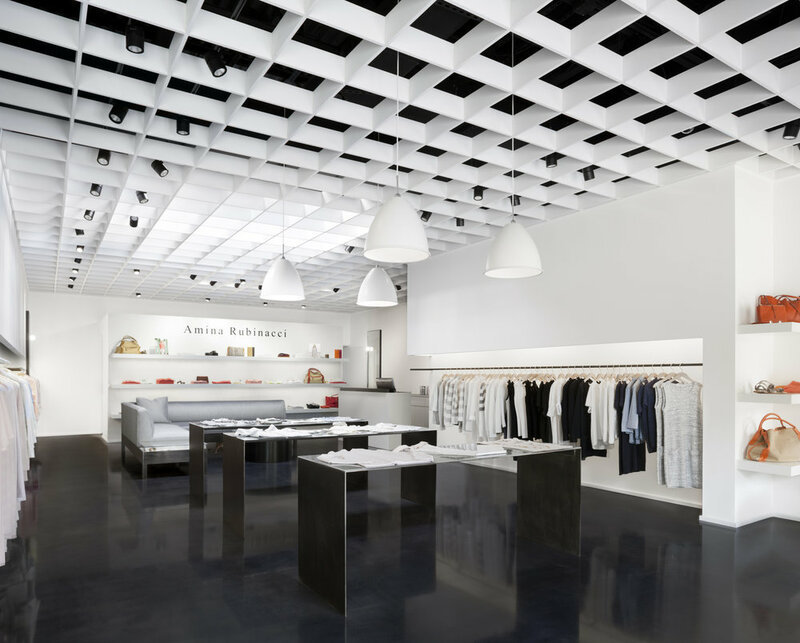 The space creates an enhanced shopping experience through careful use of materials, patterns, and light. We added a new skylight and an open-grid steel ceiling that plays off existing concrete to create spatial definition and contrast. 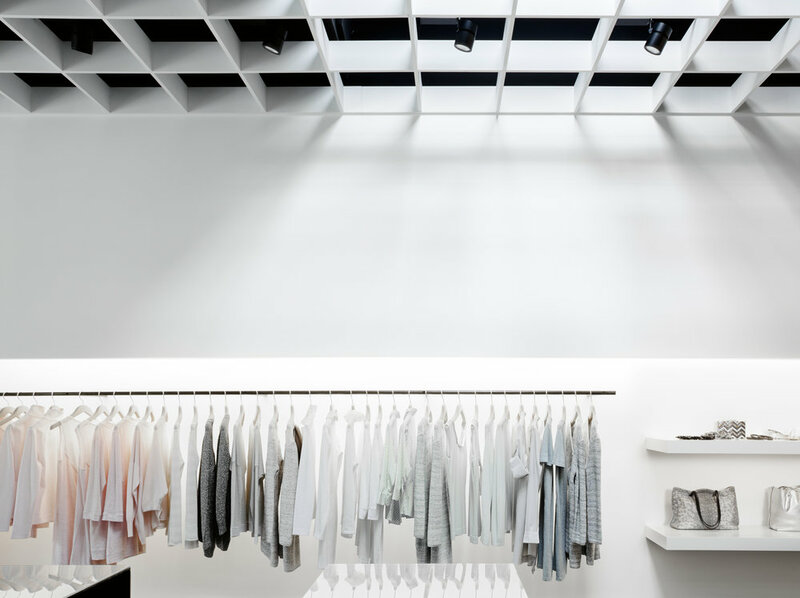 Display lighting is carefully integrated into the built-in perimeter hanging and shelving system.